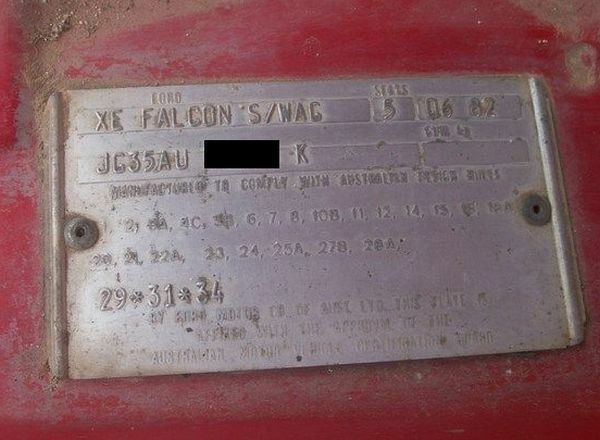 25th November, 1982 marked the date of the last production V8 powered Falcon. At least, that is what the Ford publicity machine at the time said. It would seem a strange thing to ‘advertise’, that your car company was abandoning producing V8 powered cars after fifty years and three months, and yet there were the management and workers pictured ‘celebrating’ the last of the V8’s as a Silver over Charcoal 4.9 litre , manual transmission equipped Fairmont Ghia ESP rolled off the line. Except, of course, as we know now it wasn’t the last Falcon V8, as the V8 re-appeared in the EB Falcon less than ten years later. Plus, there is even some doubt that the featured ‘last Falcon V8’, the above mentioned ESP, was actually the “last” one at all. 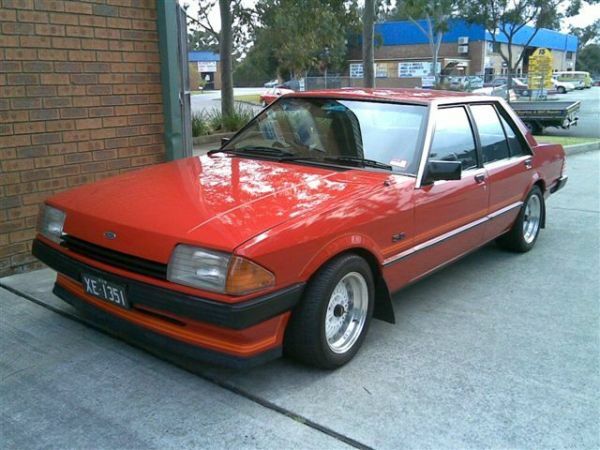 However, what can be said was that in November, 1982, after an eleven year production run, and some 250,000 examples, we saw the last fitting of an Australian cast and assembled Cleveland style V8 in a Falcon. Ford’s rationale in cancelling the V8 was impeccable. As the 1980’s arrived, the world was suffering its second oil crisis, and many countries were still in recession. Large cars, like the Falcon was, with large engines, like the Cleveland V8’s were, seemed like anti social dinosaurs. 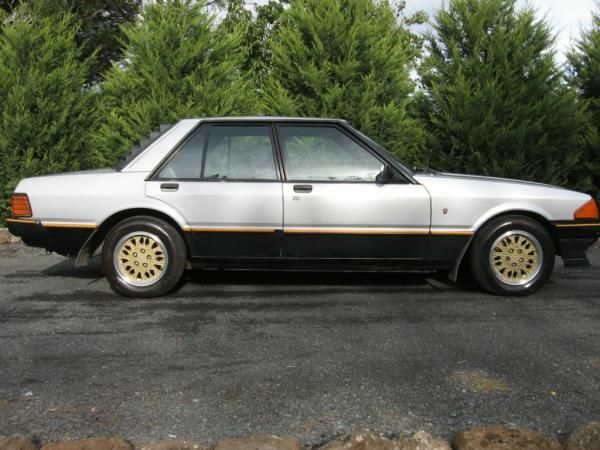 The competition had downsized with the European derived Commodore, a nimble, classy looking car alongside the broad shouldered, blocky Falcon and its siblings. Giving the XD Falcon - which Ford themselves had given a Euro style as opposed to the US style of the XA-XC’s - an aerodynamic makeover; a sophisticated, engineering upgrade to its suspension and dynamics; and, most importantly, a modernised and fuel injected version of its solid straight six, seemed the logical step. 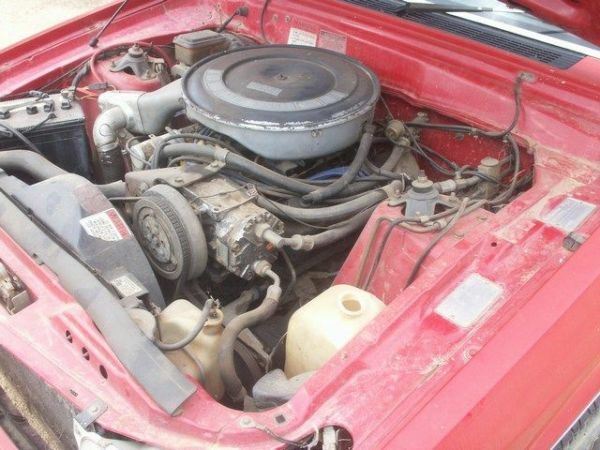 Ford had the first two improvements in place for the introduction of the XE Falcon in March, 1982, but the third, the efficient and more powerful six, was still some months away. No worries. Just drop in the big old bent eight. Okay, we’re shutting down the line for other things, but we will have plenty of the old donks left to tide us through. And then, magically, and unexpectedly, the economy got better, the oil crisis passed, and Australians started liking their big old Falcons again, and maybe, just maybe, Ford could be Number One in sales. And, em, whoops, we seem to have run out of V8’s. 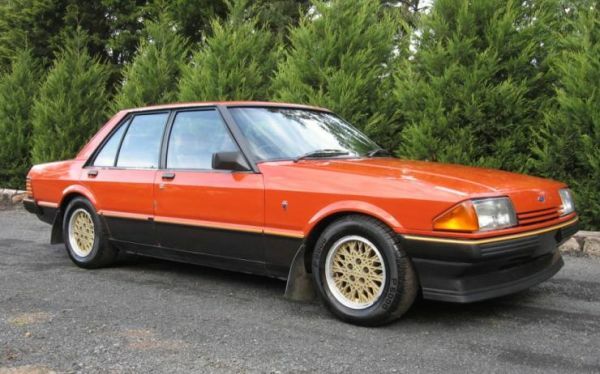 Figures show that Ford registered 66,849 Falcon/Fairmonts in 1982. 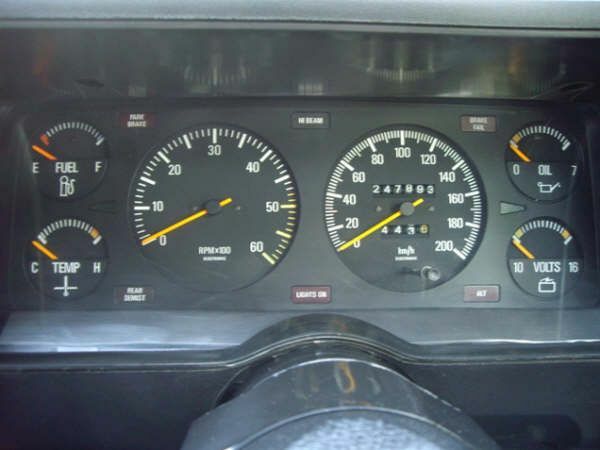 Figures also show that of these, 3340 were V8 powered. That is almost exactly 5%. This is a far cry from the early years of the Cleveland V8, for example, 1972 when of 77,093 XA Falcons, 23,150 were powered by the ‘new’ Cleveland V8. This is almost exactly 30%. 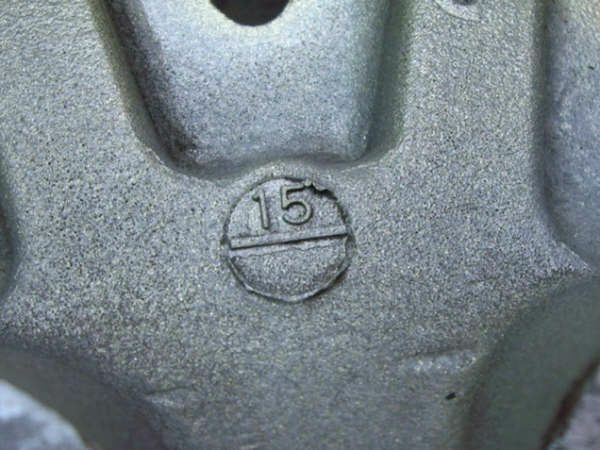 The six/V8 percentage figures seem to have dropped off dramatically in 1977, perhaps as a result of the improved cross flow headed six, and then plunged even more in 1980, when yet again, improvements were made to the six, this time the fitting of the alloy cylinder head. The V8’s problem may not so much have been a falling out of love with the V8 as a falling in love with the improving six. 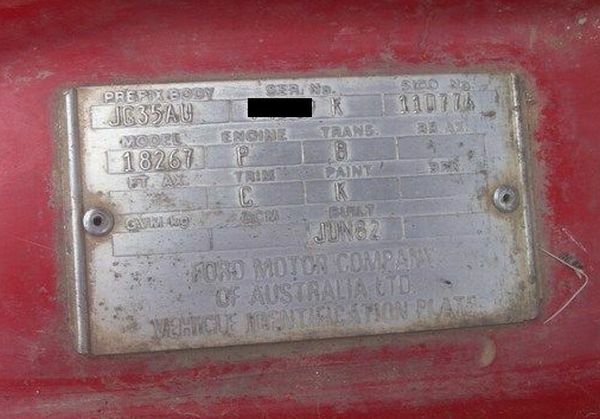 While some of the above figures cannot be completely relied upon, and it should be remembered that 1982 Falcon/Fairmont registration figures include the last months of XD production, the figure for XE’s fitted with V8’s is known:- 2389. You would expect that there may be some logic to how Ford fitted their V8’s to the last Falcon’s. But then again, if you have been working your way through this site, you will find that there was little logic to much of what Ford did with regard to their cars. 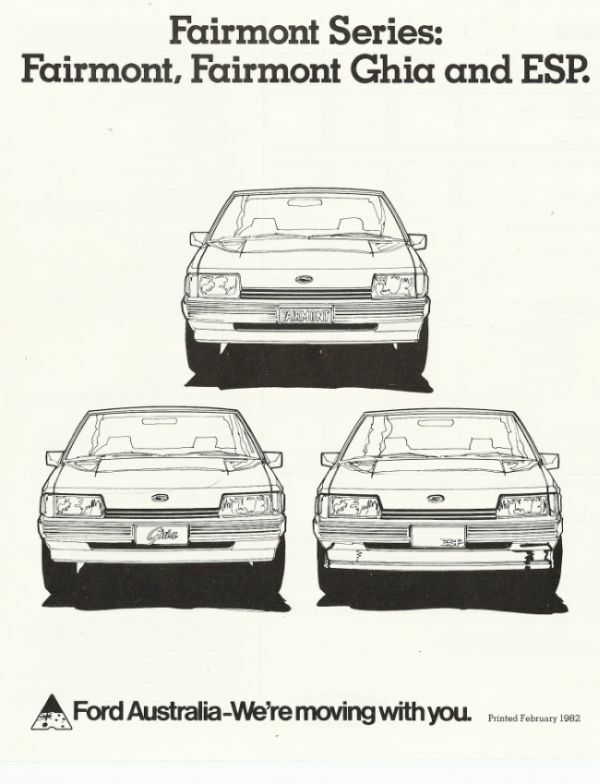 To understand the V8 XE’s you have to first understand that Ford built cars for the general public, and they built cars for their greatest fans, the police. By the time the XE came along, Australian police forces were very comfortable with their big, V8 powered interceptors/chasers. Hence a proportion of the V8 powered cars went to them. 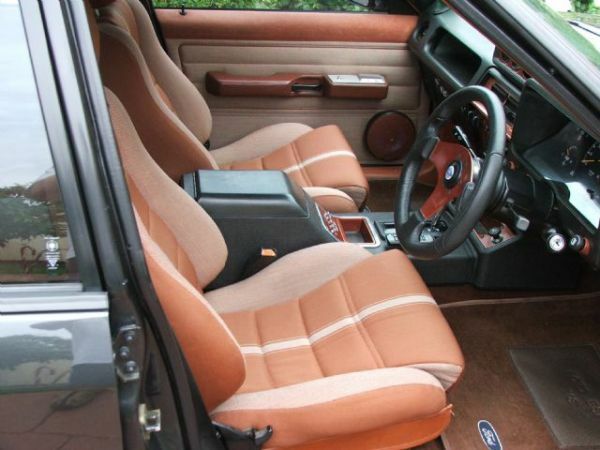 Ford were also keen to use V8’s in the XE station wagon as they appreciated that many of their wagon customers needed the extra torque inherent to the V8. And Ford also knew that they had customers who wanted big, fast, sporty optioned V8 powered cars. And for them, they refined and sold their ESP’s. I am not going to produce a chart for the numbers as that is available elsewhere on the internet. Instead, there seem to be some rules for the XE V8’s that are worth following. 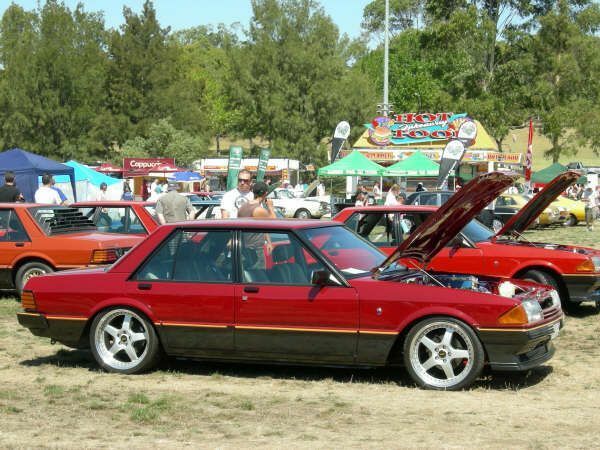 Remembering that there were a total of 2389 XE V8’s we can see that almost half, 1197, were Fairmont Ghia sedans with the 4.9 engine. Included in this total are 360 ESP’s. We can also see that the police liked the big V8. 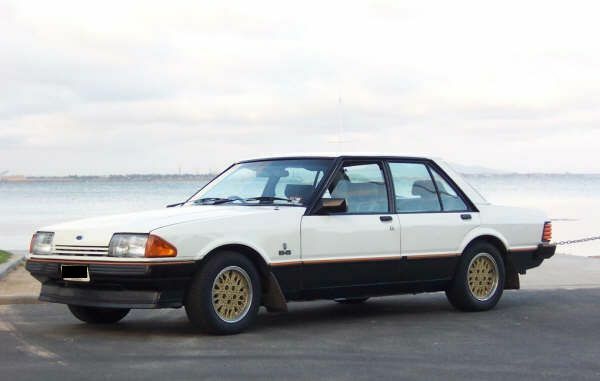 All of the 5.8 powered Falcon GL’s sold to the public were four speed manuals, and all of the 5.8 powered Fairmont Ghia ESP’s were manula cars as well. The only automatic 5.8 powered cars sold were the Option 36 police package cars. By historical convention, the police preferred gving their officers automatic cars. However, there are examples of police spec manual cars. 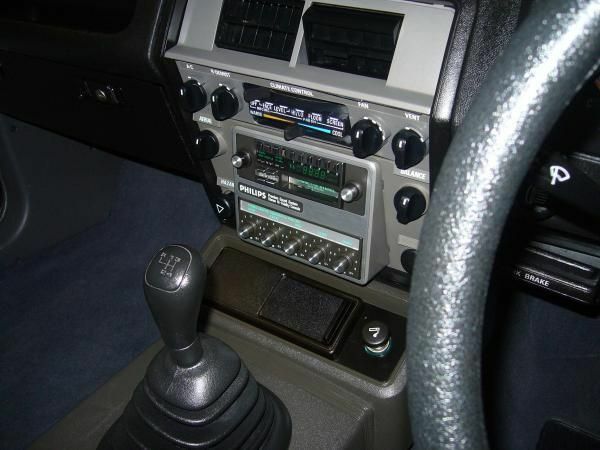 It would also appear that the automatic used behind the 5.8’s was the old FMX gearbox. 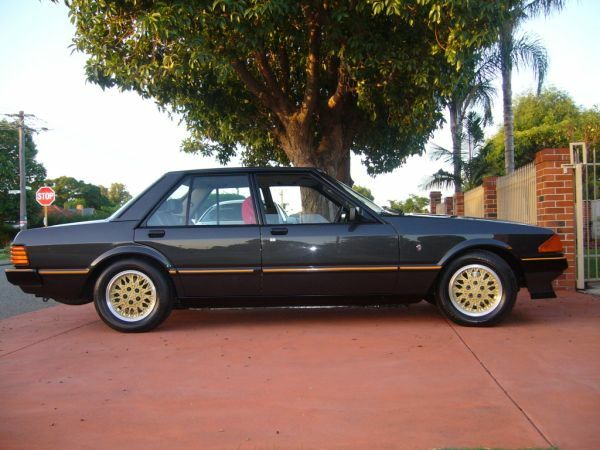 With regard to the 4.9 powered cars, while exact figures for the police Falcon GL are not known - there may be the odd manual trans car - every one had an automatic transmission, the C4, except for 100 Fairmont Ghia ESP’s which had a manual gearbox. 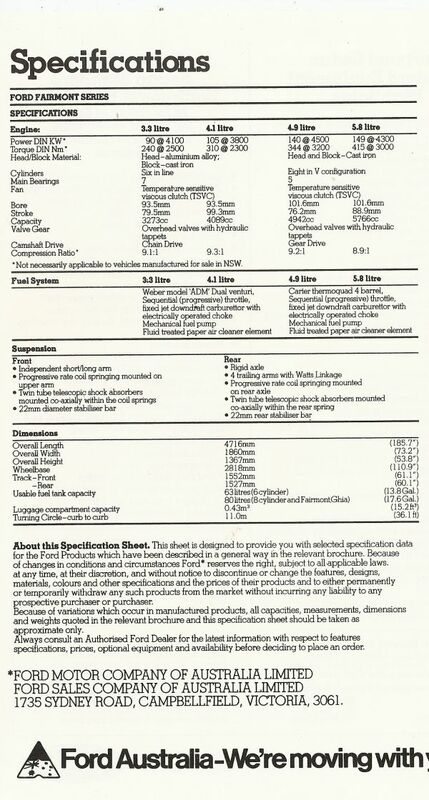 Until someone produces GL figures, or a survivor car, these ESP’s were the only manual 4.9 XE’s produced. 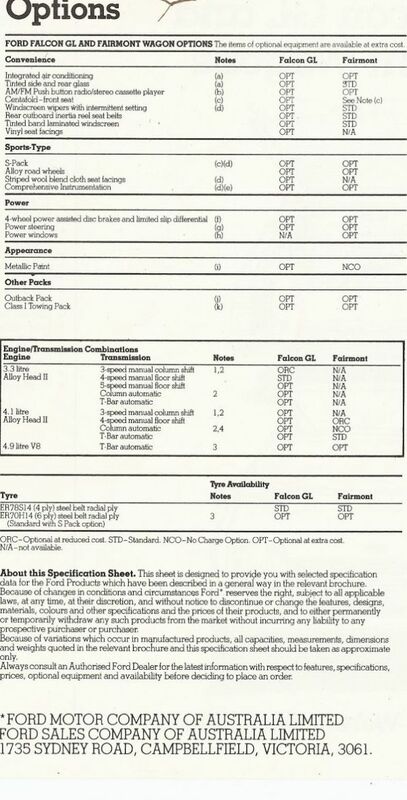 Here is the catalogue spec sheet for the Falcon GL. 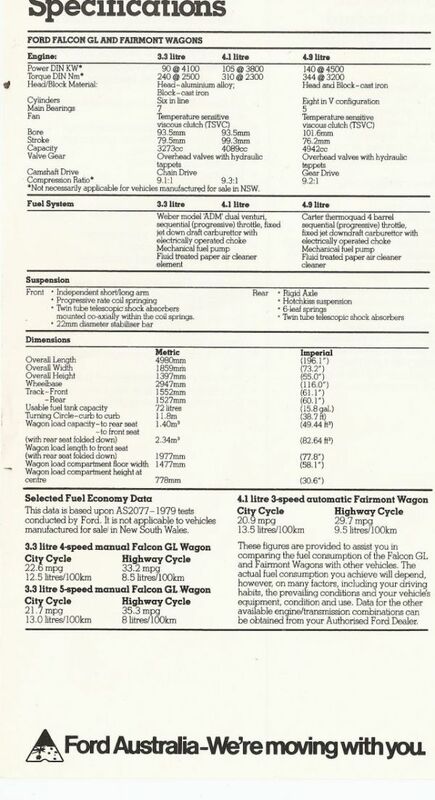 Many people doubt that the GL could be fitted with the 5.8 litre V8, but the catalogue shows that it could be. What is intriguing is, why the 5.8 and not the 4.9 ? It could be that Ford knew they would be equipping the police with the big lunger and there was no need to offer the good officers any more luxury than they needed, yet they required the grunt and torque ? It is interesting to note that, while fuel consumption figures as there for the 3.3 and 4.1, they are missing for the 5.8. Too much of a shocker, perhaps. 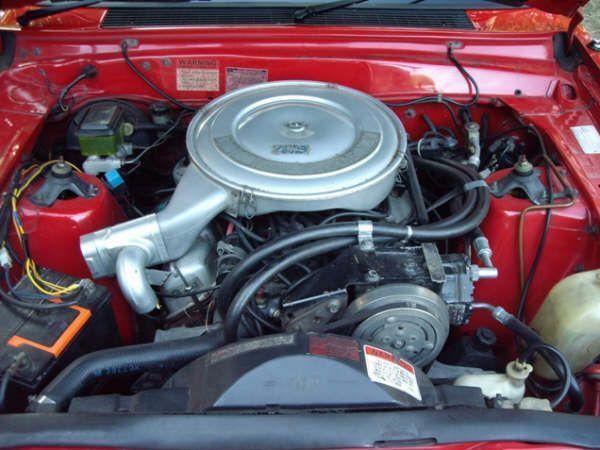 Also, note that the S-Pack was available on all engines. Some of the devil is in the detail. If you optioned the 5.8, the four wheel disk brakes and LSD were mandatory extra cost options. 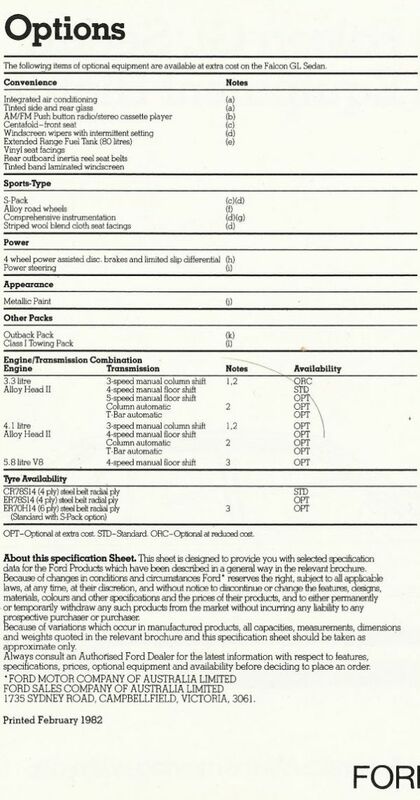 And if you ordered your 5.8 with air conditioning, power steering was another mandatory extra cost option. 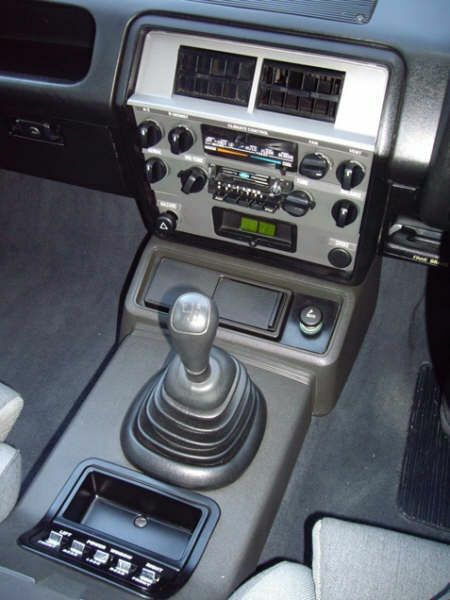 Note also that the only transmission available with the 5.8 V8 is a four speed. 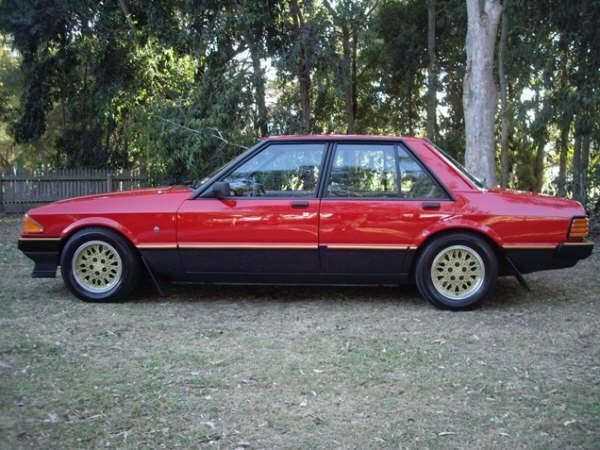 Here is a Monza Red 5.8 XE Falcon GL - with aftermarket wheels, and the S-Pack package. Note the S-Pack stripes which finish at the rear with this decal. 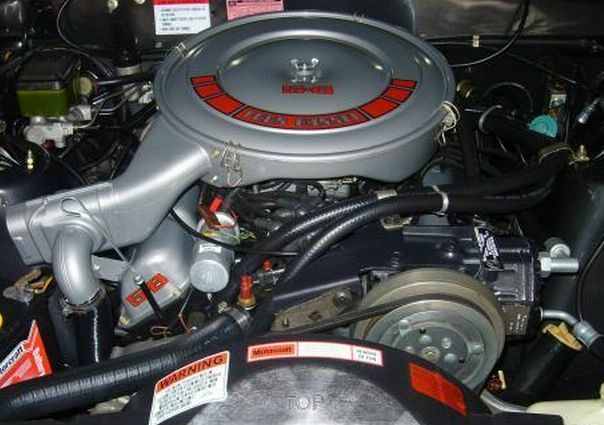 Remember, 423 XE Falcon GL’s were manufactured between February and November, 1982. Allowing for the number of police cars, civilian numbers would have been low, so this is a fairly rare car. 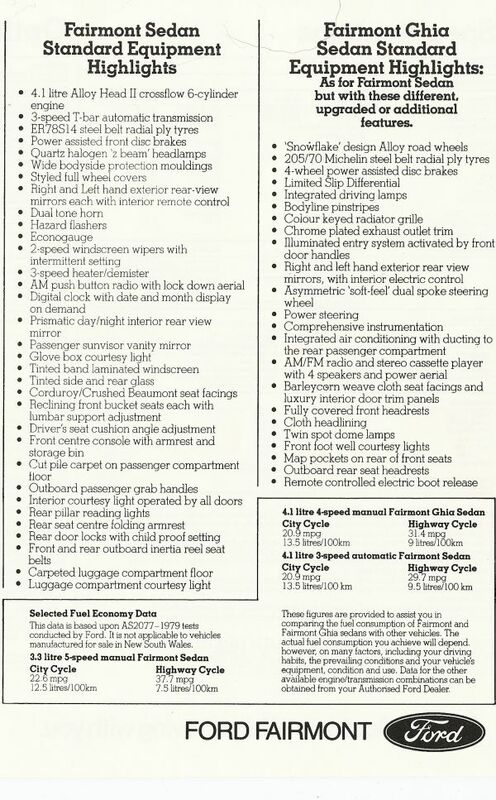 Here is the catalogue spec sheet for the Falcon GL and Fairmont wagons. Again it is worth noting that the four wheel disk brakes and LSD are mandated extra cost options with the 4.9 V8, as is the power steering, but this time with no proviso of air conditioning fitment. Also, note that the only tranmission available with the V8 is the automatic. 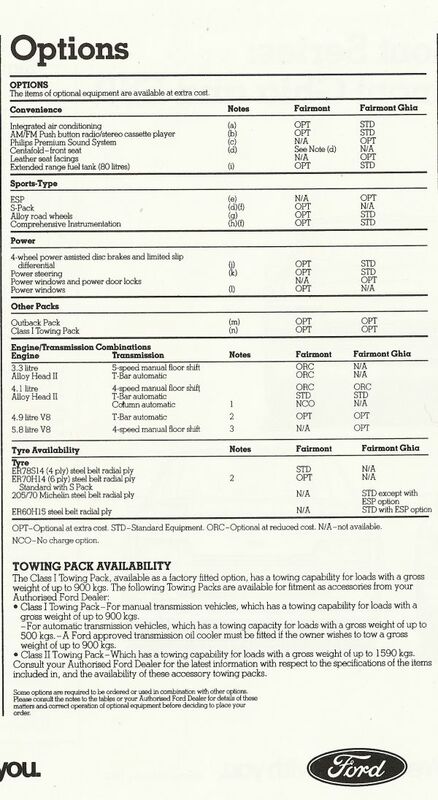 Again, the S-Pack package is available on both the Falcon GL and the Fairmont. 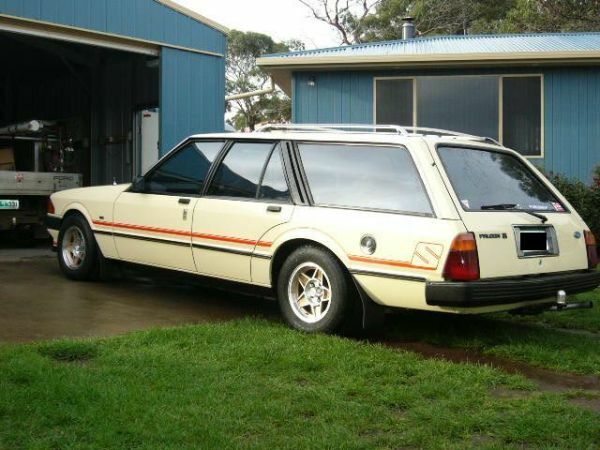 Here is a Bahama Biege XE Falcon GL wagon with S-Pack. Nice photos showing the S-Pack stripes integrating with the S-Pack front spoiler. 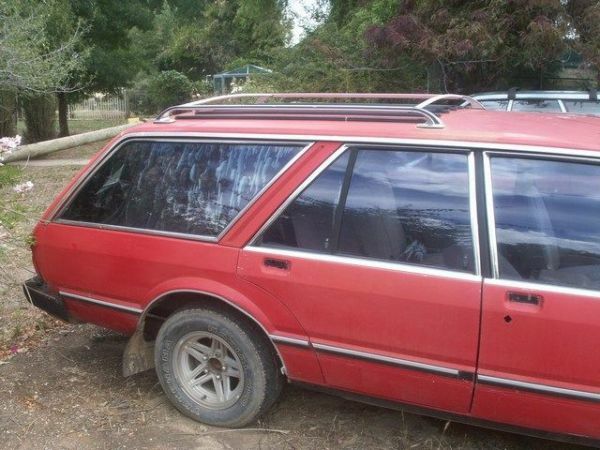 Here are some photos of a XE 4.9 Fairmont wagon. 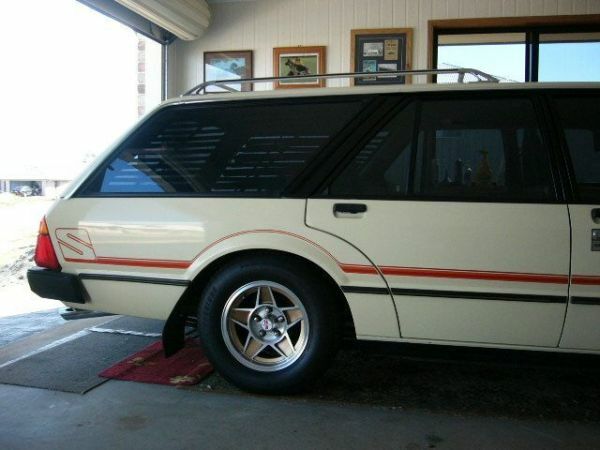 Note how the Fairmont wagon has considerably more brightwork along the rubbing strip and around the windows, in comparison with the Falcon GL above. Mentioned much earlier on the site was the change in compliance plate location from the XD upwards. Both plates moved to the passenger side front wing rail. 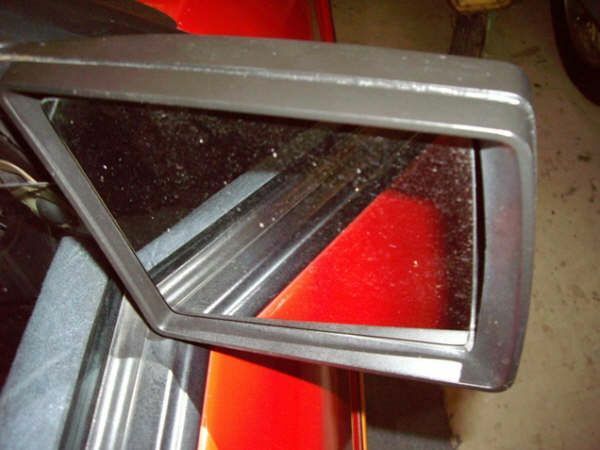 A few interesting things to note about the plates, especially in comaparison with earlier XA/XB/XC plates. 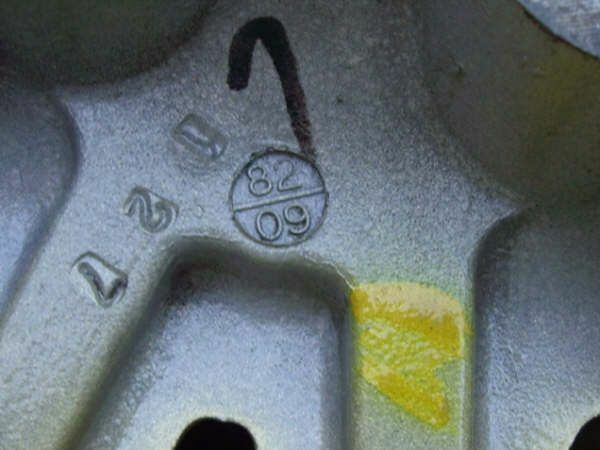 For example, the date code in the VIN shows an Estimated Ship date based on the ‘AU’ of June, 1982 and the actual Revised Ship Date stamped on the plate is, June, 1982. That these two coincide is in some contrast to the earlier cars. Better labour relations maybe ? Also, the VIN has the ‘K’ suffix denoting a V8 powered car. 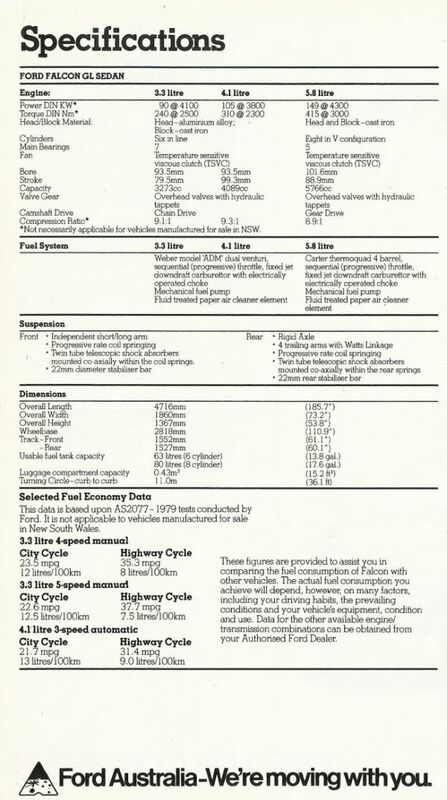 Lastly, the engine code is ‘P’ whch is for a non-NSW 4.9 V8. NSW had its own emissions regulations and a diferent coloured emissions sticker. 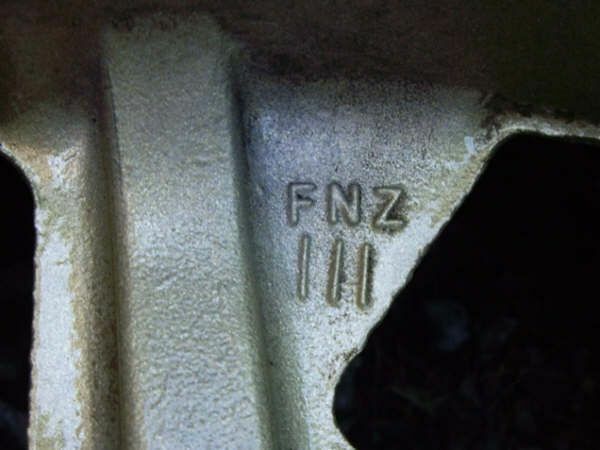 NSW sold 4.9’s had the engine code ‘B’. 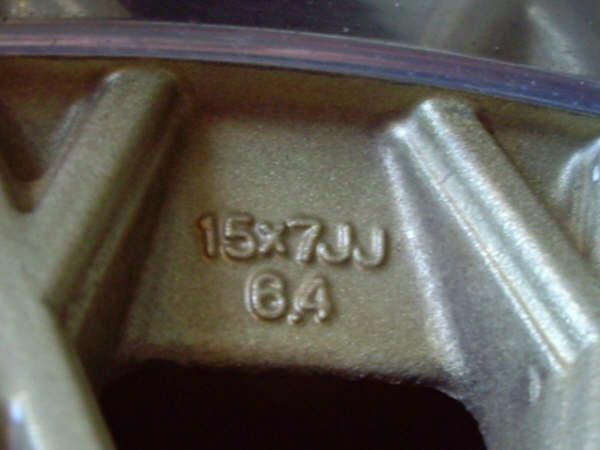 Cars with the 5.8 V8 used the all states engine code ‘T’. One further point with the wagons is that, in XE form, their production was even shorter than the sedans. There were no V8 wagons built in October or November of 1982 giving them a seven month production run, the peak month being May, 1982. Hindsight is a tremendous thing, giving the viewer 20/20 vision. As such it is interesting to reflect on the life of the Falcon GT, and how it relates to the last V8’s and the XE ESP. 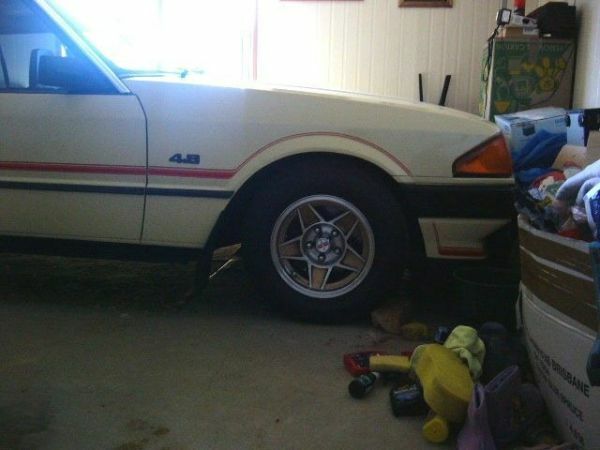 The Falcon GT developed in ways very closely related to the US Mustang. It started off small, with a compact V8 with the XR and XT. Weight was kept down aiding handling. 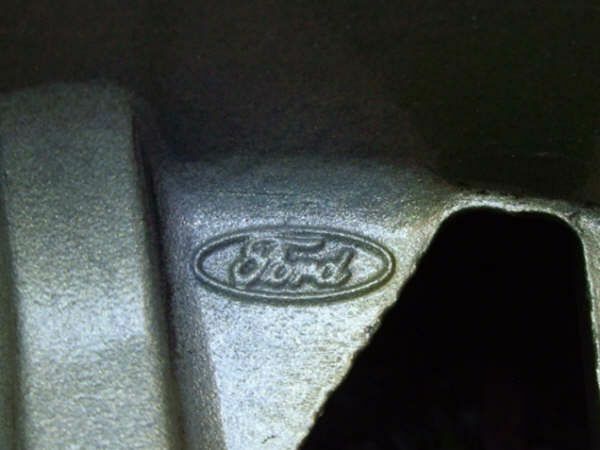 Heavy duty parts could be sourced from across Ford’s corporate divides but the car remained lithe and sporty, much like the early Mustangs..
Then it grew bigger, if not in actual physical size, then in perception as ‘bulk’ was added to the basic shape. With the ‘bulk’ came the big sticks, medium to US minds but large to anyone else, 351ci V8’s with the XW and XY’s. The cars could still handle with some fine trickery, but brute strength and power was their USP. These cars equate to the late sixties Mustangs. The XA’s were bigger cars, and really introduced the concept of the GT’s being ‘Grand Tourers’. Brute strength was reined in - although the figures claimed otherwise - and more refinement was introduced. 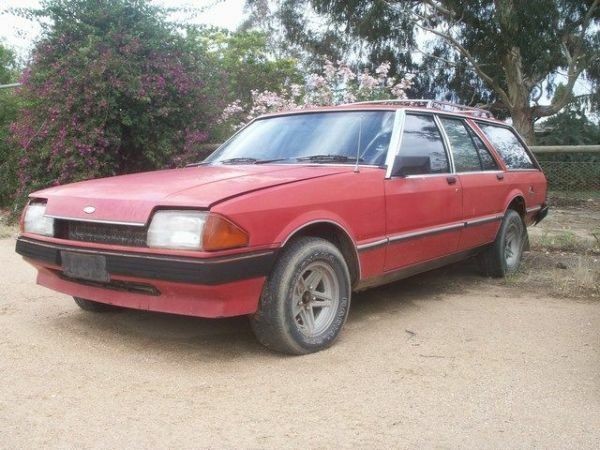 By the time the XA was hitting its stride in Australia, the big Mustang was heading for the corral in the US. With the introduction of the XB, the US Mustang had reverted to the Mustang II; small, economical, city bound and commuter friendly. In Australia, the XB was the archetypical Grand Tourer. It was big enough to carry passengers, it was quick enough to be fun without drama, it was tough enough to survive urban and outback, and it was stress free to remain robust. For various reasons, and not solely to make a break with the past, there was no XC GT. Instead, Ford marketed the GXL. 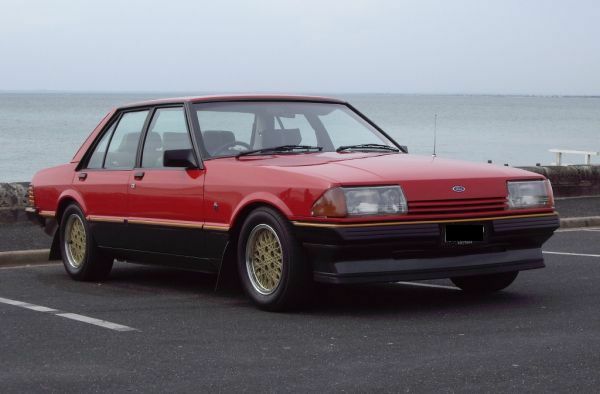 Underneath it got most of, if not all the GT bits, but it acquired a luxury to go with its Ford Europe derived name, a hint of status, prestige, maybe even glamour, and refinement. With the European feel complete in the design of the XD, and XE, it seemed logical to push the sports version further and call it the European Sports Package. 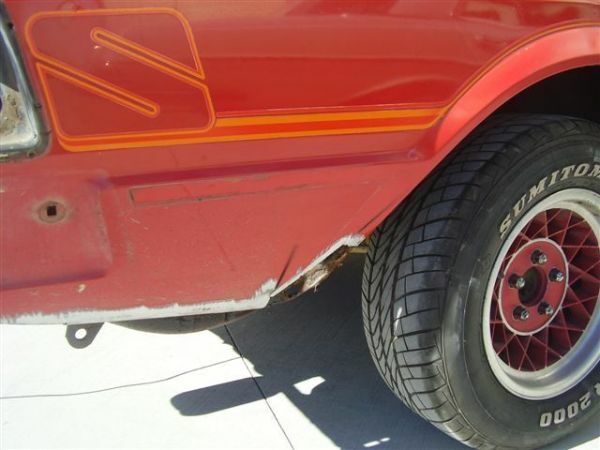 As mentioned above, Ford had done some major revisions to the XE fitting a fairly sophisticated Watts linkage to the rear suspension and improving the aerodynamics. 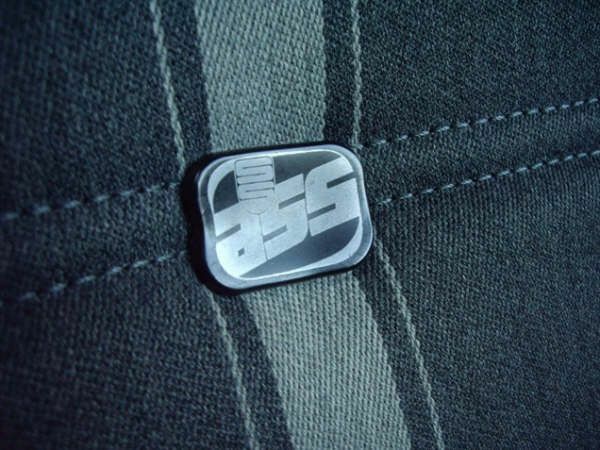 The ESP added some nice upgrades designed both to enhance the overall performance of the car and its looks. 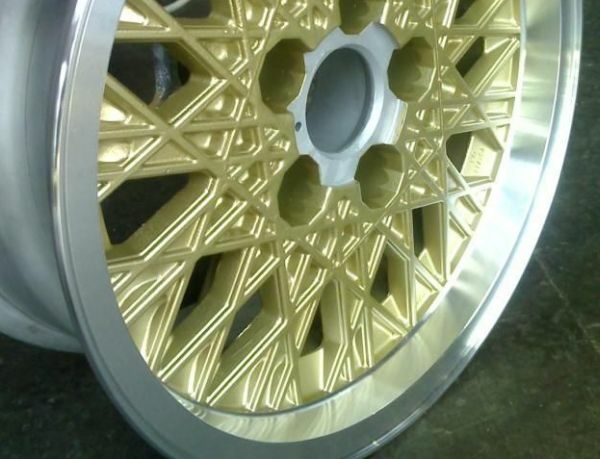 Gold "Snowflake" Rims fitted with ER60 H15 Uniroyal WildCats. 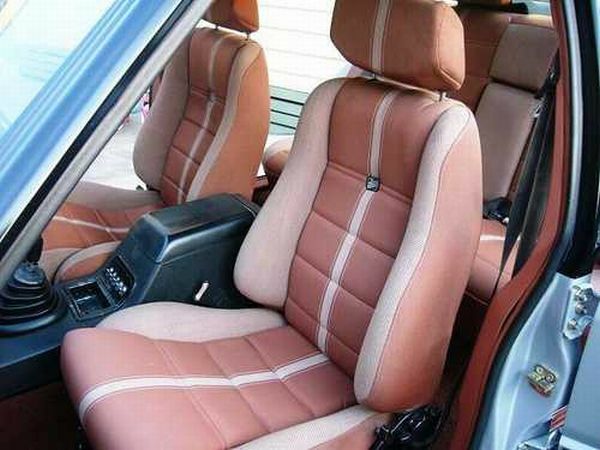 Unique Interior with either Grey OR Sierra Tan coloured Interior. Front seats were Scheel. Bilstien Gas Shock Absorbers with revised springs and ride height. Unique External Body Moulds fitted. 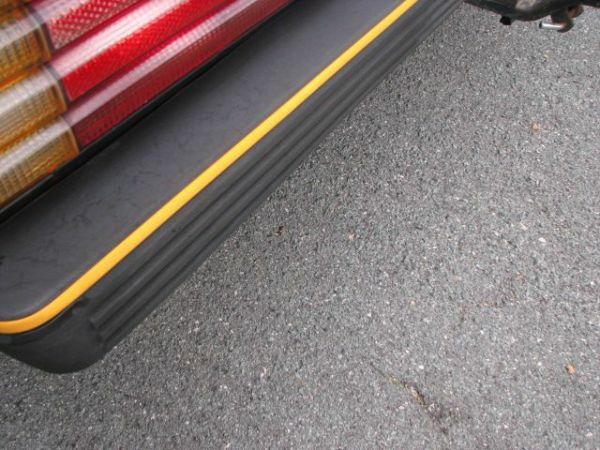 (black with orange stripe). Ford offered the ESP in several different engine and transmission combinations. 538 in total built from February, 1982 till November, 1982. So, what is the ESP ? 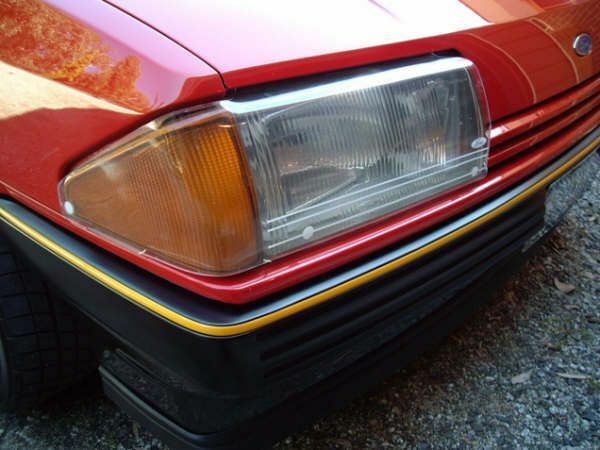 This is the classic ESP showing the external features that distinguish it from normal Fairmont Ghias:- the gold snowflake wheels, the Charcoal paint lower body colour and the yellow ‘pinstripe’. 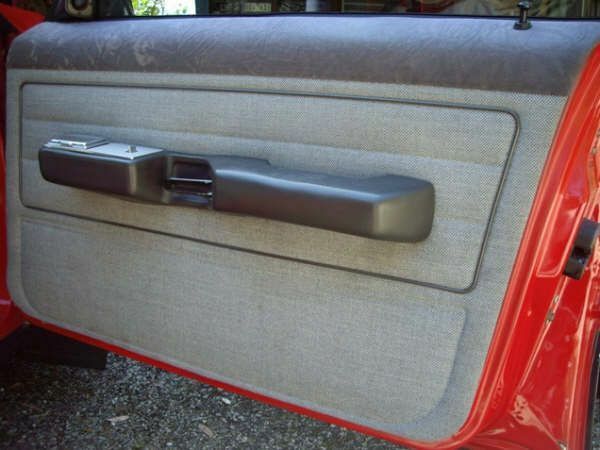 The yellow pinstripe followed the trim and rubbing strips all around the car. On ‘normal’ Fairmont Ghias this pinstripe was chromed. It was also chromed on later fuel injected six cylinder ESP’s. There are one or two points to note about the gold snowflake. 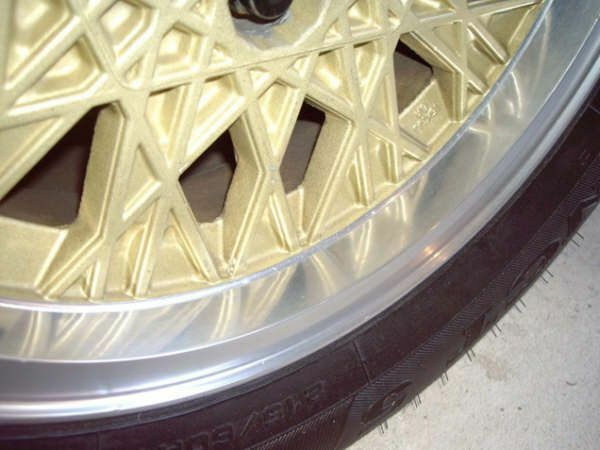 The ESP gold rims have unmachined spokes. 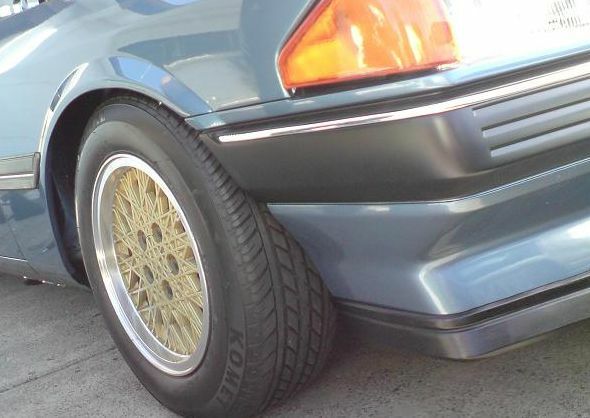 A silver version of the wheel was fitted to Fairmont Ghia’s and the spokes were machined. There are also two different castings of the gold snowflake wheel. 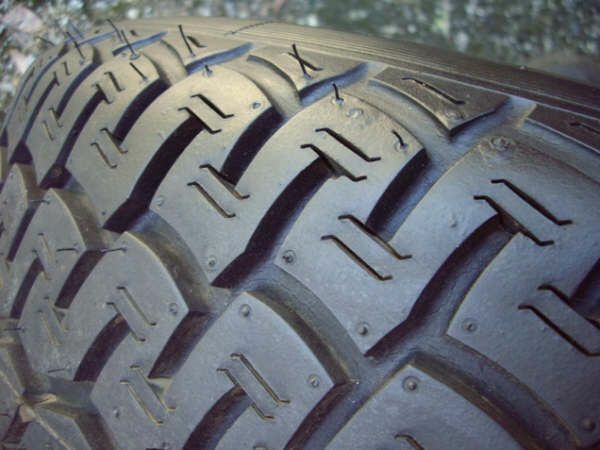 These are known colloquially as the ‘cut edge’ or ‘squared’ rim and the ‘rolled edge’ or ‘rounded’ rim. These photos show the difference. 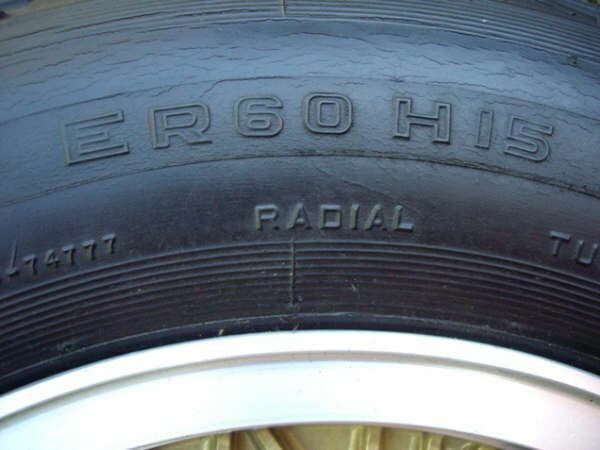 You can see where the front of the spokes reaches the rim there is a squared shoulder, a right angle in other words. 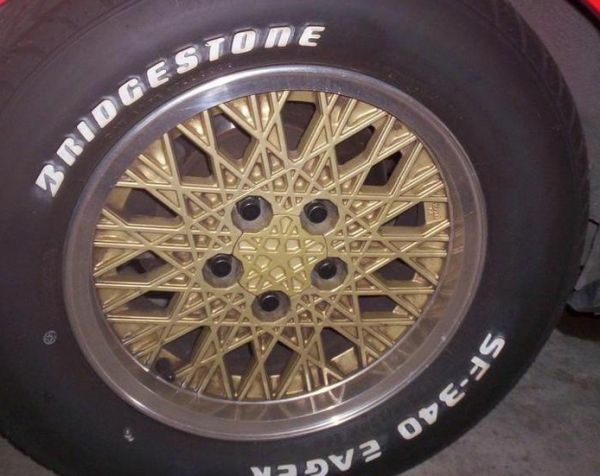 These were the rims fitted to early and middle production V8 ESP’s. You can see here that the spoke front now rolls on the rim in a curve. 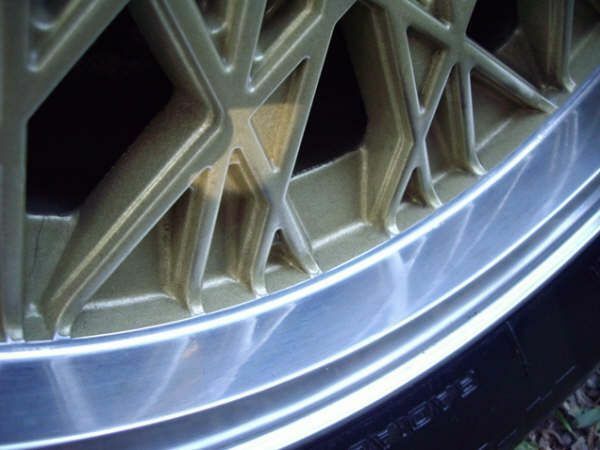 These wheels were fitted to late V8 ESP’s and the fuel injected six ESP’s.. 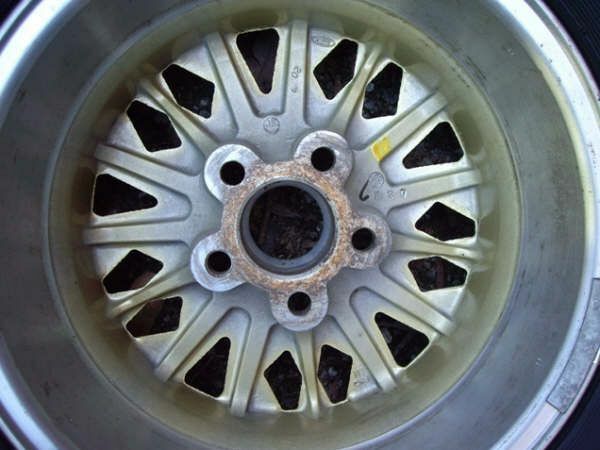 Here is the rear of a rolled edge wheel. And close ups of the cast markings. And on the front, the size. 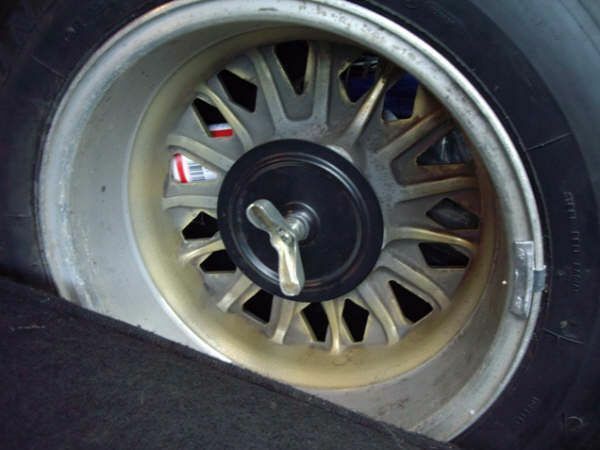 While talking about the wheels, here is how the spare mounts. 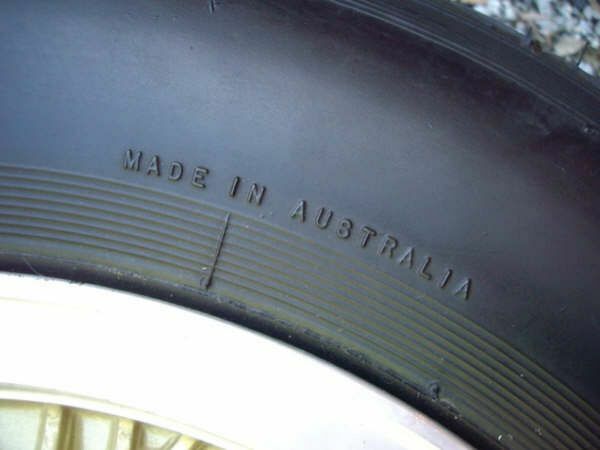 Also, the original tyres were Uniroyal Wildcats. With quite a chunky tread pattern. 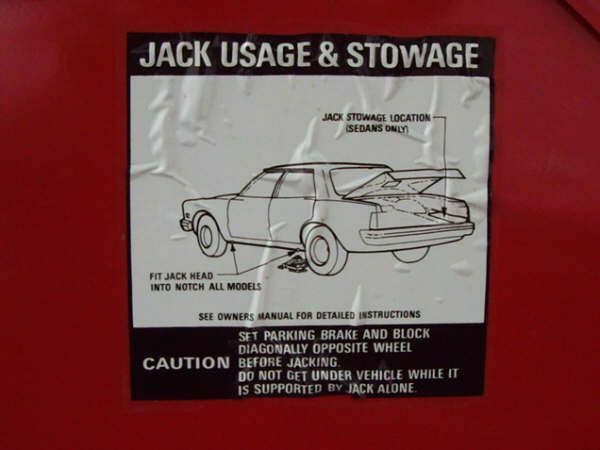 As a further aside to talking about wheels, under the bootlid the jack usage sticker was unusual on the early XE’s and hence, the V8 ESP’s. Yes, that is a Cortina, not a Falcon. Another notable feature of the ESP’s was in their general ‘de-chroming’. 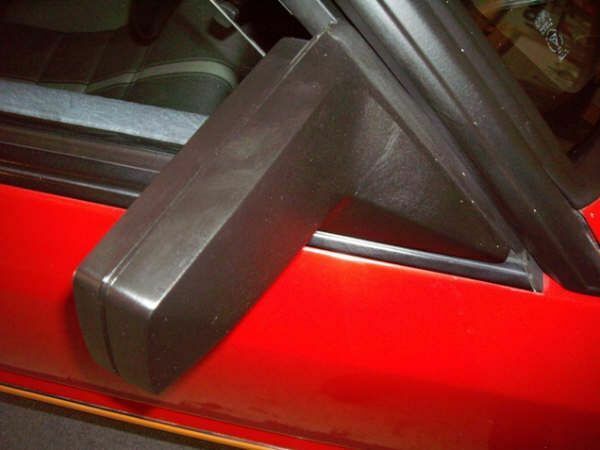 Fairmonts and Fairmont Ghias as well as having chrome ‘pinstripes’ also had a chrome trim around the wing mirrors. ESP’s did not. 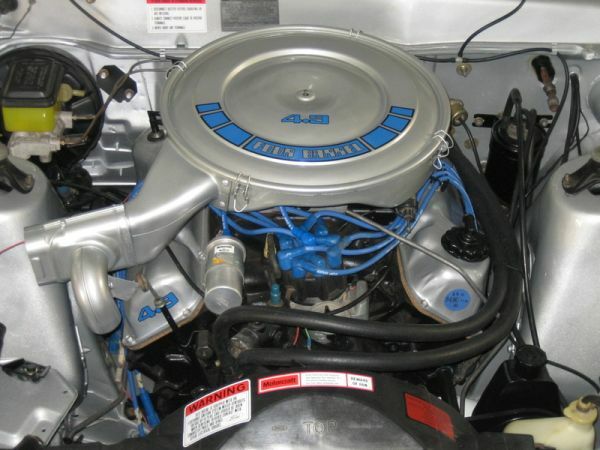 Here is a picture of a restored 4.9 litre engine bay showing the blue 4.9 decals. And the 5.8 litre with the red decals. 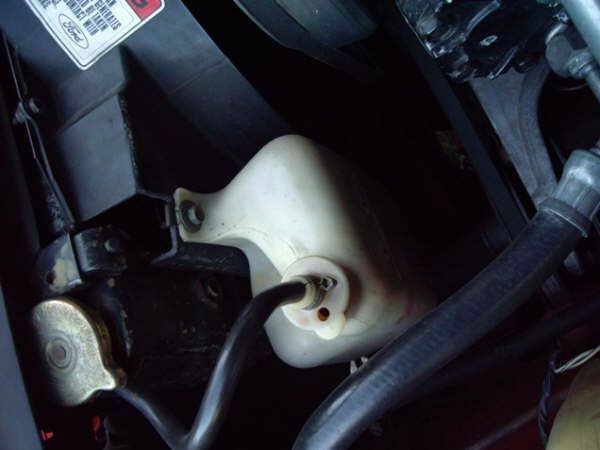 A noteworthy point is that V8 radiators had the expansion tank attached to the fan shroud whilst six cylinder cars had it beside the washer bottle. V8 powered XE ESP’s also seem to have picked up this plastic baffle on the underside of the bonnet at the front. 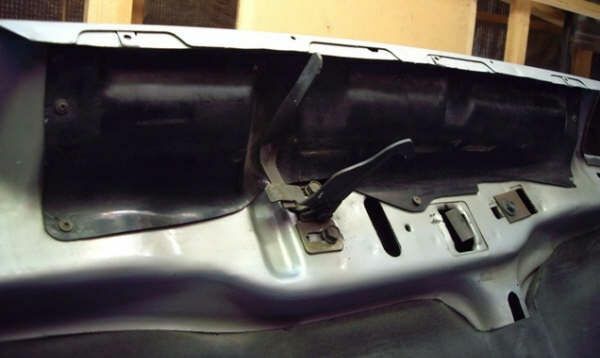 It’s purpose may have been to prevent air bleeding over the top of the radiator support, and hence be directed through the radiator for more efficient cooling. 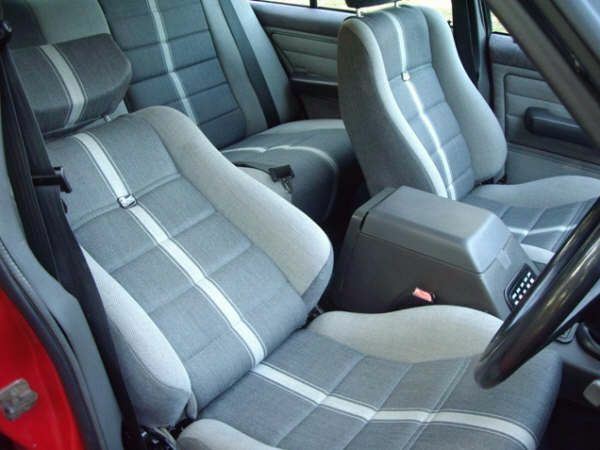 Returning to the ESP differences, they had unique interiors with Scheel front seats. 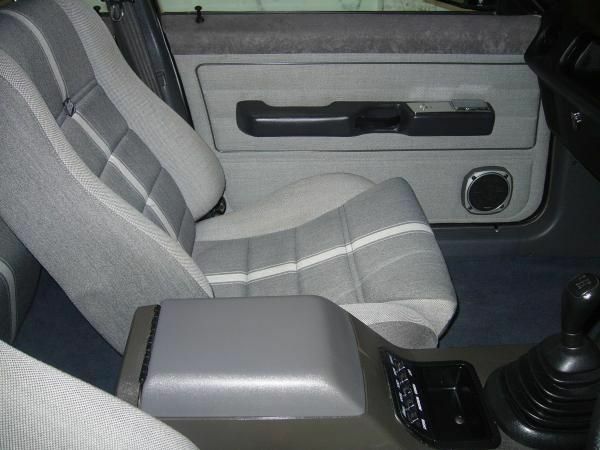 The seats had the Scheel badge in the centre. 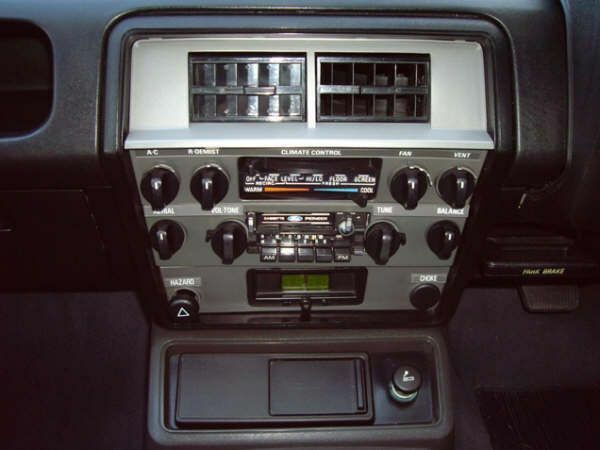 Whilst in the interior the standard Ford AM/FM radio cassette was fitted. 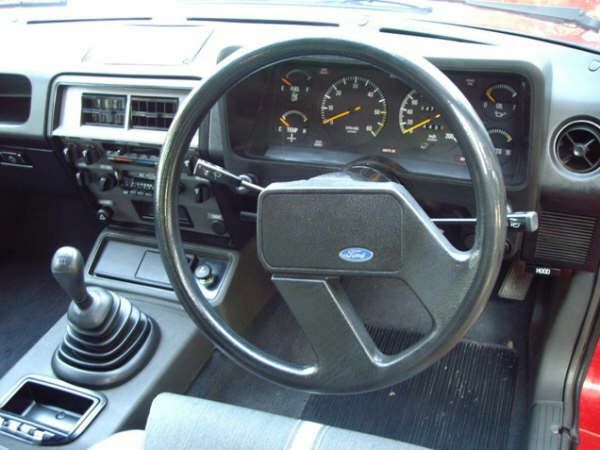 Further interior shots show the distinctively spoked XE steering wheel. Hermitage Red is a rare colour for the ESP. Here is how the three ‘reds’ look together:- Chestnut, Hermitage and Monza. There are also trim permutations for these colour schemes of course, and endless debate about which is nicest, rarest and most collectable.